On the fringe of Soho, where Charring Cross Road meets Old Compton Street, is a small, yet sophisticated bar named Swift. There, beneath the street, award-winning mixologists have been secretly toiling to create forty new and minutely-balanced cocktails, all drawing their influence and inspiration from one of the Twentieth Century’s greatest cocktail proponents, Ian Fleming - creator of James Bond and the Vesper Martini. It would be no understatement to say that Ian Fleming, through his most famous literary creation, is responsible for the popularity and longevity of the Martini. Without Bond, it is likely that the Martini would have been relegated to being a fixture of the fifties, a Rat Pack staple, or the after-work tipple of some Billy Wilder creation, but instead Bond dragged the Martini through the Sixties, Seventies, and even through the calamitous cocktail age of the Eighties, where sophistication and nuance were eschewed in favour of sweet, colourful creations with ever more ridiculous garnishes and names to match. Since Bond, the Martini has undoubtedly changed in style, a much drier drink than it was some 130 years ago, and this can only be credited to Bond’s vocal preference for a dry Martini. Whilst there have always been those for whom cocktails are their preference, some might argue that Bond, and by inference Ian Fleming, have kept the classic cocktail culture alive. With so much responsibility on his shoulders, it seems incredible that over sixty years since his creation there has yet to be a cocktail book that pays tribute to both Fleming and James Bond. 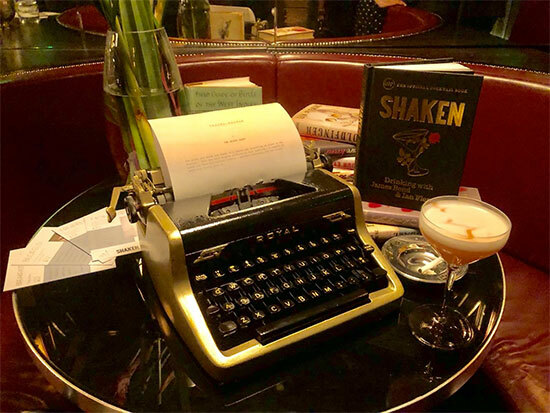 Hence ‘Shaken’, the authorised cocktail compendium, created in collaboration with the Ian Fleming Estate, and celebrating the drinking habits of Bond and his creator, Ian Fleming. Within the pages of this book are fifty wonderful cocktails, some old, but most entirely new, all taking their cue from Ian Fleming and the world of James Bond. It seems fitting that the launch of this book should take place in the bar that is responsible for the forty or so new concoctions, so it was into the tightly-packed downstairs bar that I squeezed myself to leaf through this beautifully put together book and sample some of the creations from its pages by the people who helped create them. Swift itself seems just the sort of bar the Fleming himself might have favoured if he were still alive today. A bar that, along with its sisters Nightjar and Oriole, excelles in the creation of finely-crafted cocktails that take classic cues and old-school sensibilities and turn them into something entirely fresh and modern. For Fleming, whose prescriptive tastes might have made a bartender baulk in the Fifties, this is exactly the kind of approach to drinking he favoured; classic, yet experimental, unafraid to bend the rules. ‘I kind of like to think of Swift as the kind of bar where Ian might have been drinking, with his friends and family around him and with a strong drink. When we were first approached for this project, we were a bit taken aback because we’ve focused the last ten years of our lives on classic cocktails, so making something like this for us would be akin to making The Savoy Cocktail Book, which is where you begin to learn about cocktails. Ian’s Fleming was such a person to contribute to that lifestyle and how we learnt about cocktails, so we realised that it would be quite a task to do. But then we were given a beautiful brief that made us jump into the story of Bond, which when you’re in the story of Bond you’re encapsulated by it and you want to live it. We’re very honoured to be a part of what we consider to be a legacy and we’re incredibly grateful to the Fleming family and everyone for including us in this project.’ - Maria Johansson of Swift. The book is far more than a simple list of cocktails and pretty photographs - although the photography is first class and the recipes easy to follow. 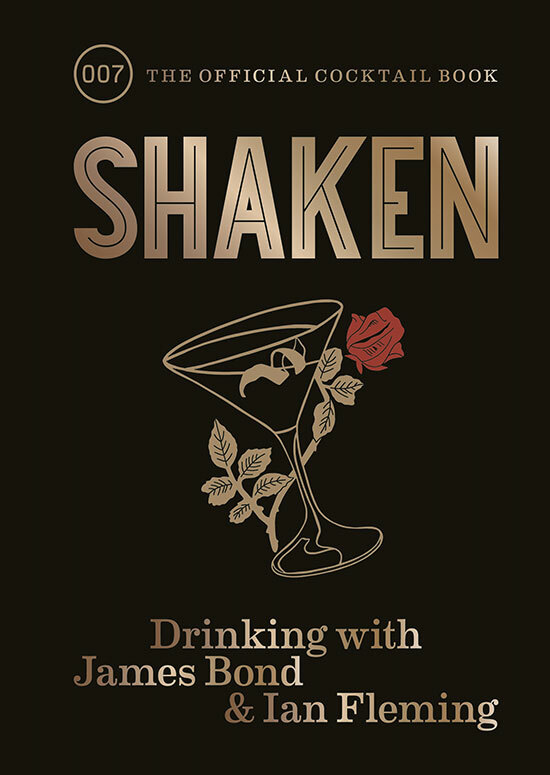 ‘Shaken’ has been put together with the close cooperation of the Fleming Estate and it shows; the book is rich with Fleming and Bond anecdotes, and everything from the names of the drinks, the quotes from the novels, Fleming’s drinking companions, and the man himself, leave no doubt that this an official, authorised book. I’m absolutely delighted to be here for the launch of ‘Shaken’ and I’m very lucky to be involved with the extraordinary world of my Great Uncle, Ian Fleming. He had such a broad range of interests and you never know what aspects of his life and career are going to pop up next...I have absolutely no doubt that he would have been absolutely fascinated by how his life and his work continue to branch out into the twenty-first century. Shaken is a rather perfect specimen of this. As you’re all no doubt aware, so many aspects of Bond were ‘donated’ to him by Ian’s own personality. Certainly one of those characteristics was Bond’s love for food and drink. Ian took an intense interest in both and deeply stitched them into Bond’s life. As long as I can remember, we’ve always wanted to reflect that in a book that celebrates Ian and Bond’s love of drink. But it would be a very easy book to get wrong and so we waited until we got just the right book that we wanted and I’m glad to say that we have that in ‘Shaken’ - Diggory Laycock, Ian Fleming’s Great Nephew. Also launched alongside ‘Shaken’ was Ian Fleming Gin, a new premium gin from the makers of Blackwell Rum, whose creator, Chris Blackwell owns the GoldenEye resort and whose mother, Blanche, had a long-lasting relationship with Fleming. 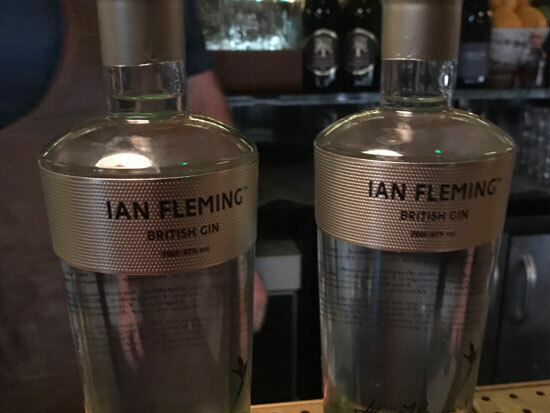 Ian Fleming Gin is listed in ‘Shaken’ as an ingredient in many cocktails, including The Vesper, so it is appropriate that the two be launched side-by-side. The gin itself is full of character, with pepper and warm liquorice notes and a short, clean finish. After imbibing my fair share of Swift’s creations, the Blofeld, the Moneypenny, and the Trueblood among them, I reflected that the night was everything that Ian Fleming would have loved: Good company, friends and family around, a strong drink or three, and a good book to read.